WHAT is it about Peter Greste that's spurred hundreds of thousands of strangers across the globe into action? From murals in Sydney to letter-writing campaigns, online petitions and Twitter hashtags to protests in London, the Aussie journalist's story has touched countless hearts and inspired strangers from all walks of life to join the fight for his freedom. Just over 12 months ago, the unassuming Al Jazeera correspondent was hardly a household name, despite having reported from some of the world's deadliest hot spots including Bosnia, Afghanistan, South Africa and Egypt. Today the Latvian born son of Lois and Juris is one of the world's best-known journalists and an international symbol of the oppression of press freedom. Born in 1965, Greste grew up in a happy Sydney home surrounded by his hard-working parents and his brothers Andrew and Mike. He graduated from the Queensland Institute of Technology in 1986 and went on to work for some of the world's leading news organisations including the BBC, Reuters and CNN. 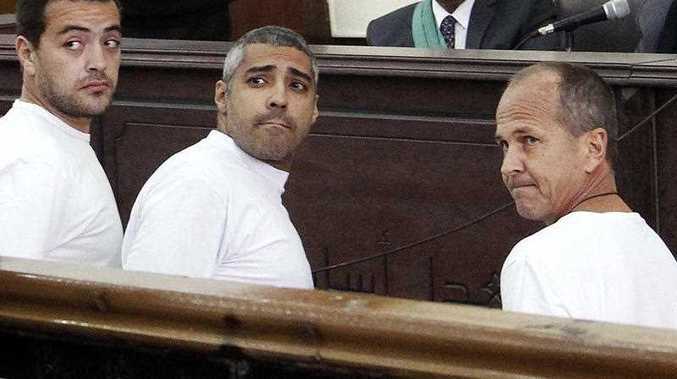 In December 2013, Greste, producers Mohamed Fahmy and Baher Mohamed and cameraman Mohamed Fawzy were arrested in Egypt for broadcasting "live news harming domestic security" and supporting the Muslim Brotherhood. Fawzy was released days later but the others were sentenced to seven years jail following an internationally-condemned trial. On Thursday (January 1 2015) the Egyptian Court of Cassation ordered a retrial for Greste, Fahmy and Mohamed. Just weeks before the court's decision, Greste added Australia's top journalism award - the Walkley Award for Outstanding Contribution to Journalism - to his 2011 Peabody Award. "Peter Greste displayed great courage in confronting his arrest and imprisonment for the practice of journalism in Egypt," the Walkley Award advisory panel wrote. "Through letters he immediately wrote from jail defending himself and his colleagues, Mohamed Fadel Fahmy and Baher Mohamed, Greste declared to the world the responsibility shared by all committed journalists to report truthfully to inform the public. "In an age of terror when journalism has been shown to be a deadly profession where journalists risk being taken hostage and beheaded, Greste's declaration from his Cairo cell is exceptional and inspirational." Technology, in particular the internet, has been a key tool in the uprising against Greste's jailing. More than 200,000 people have signed internet petitions calling for his freedom. There have been hundreds of thousands of hits on the Twitter hashtag #FreeAJStaff and the number of people liking the official Facebook page supporting the journalist increases daily. "Sad news for Peter, his colleagues and family. But support for Peter and press freedom will only strengthen," Sydney resident Janet Woolnough CORRECT wrote on the Free Peter Greste Facebook Page that has more than 18,000 likes. "I am really ashamed of the Egyptian government, and I wish if I can apologise to those innocent journalists," Ahmed Hamza also wrote on the page yesterday. 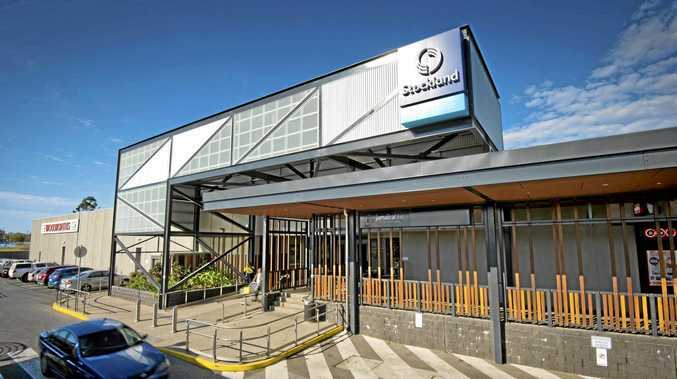 "We're humbled and overwhelmed by it," Andrew told APN yesterday. "It's also an indication of how strongly people feel about the injustice that's occurred." Andrew said he was astounded at the lengths strangers would go to get their message to the Egyptian government. "That's also demonstrated by some of the acts of support and action that people have been taking - the mural in Sydney, the demonstrations in London the other day in front of the Egyptian ambassador, there's countless other things," Andrew said. "There are people who write letters and those sorts of things." "It's immensely important for Peter and us and people in general because they feel so strongly about it." With the free Peter Greste movement growing daily, the 49-year-old's elderly parents and siblings have stepped bravely into a glaring media spotlight. Instead of shying away from the cameras, the Grestes have chosen to keep reporters updated, holding press conferences and responding to journalists' calls as major hurdles and milestones occur. Yesterday, Andrew, with brother Mike by his side, fielded questions and gave updates to a packed press conference at the ABC's Brisbane headquarters. They then spent hours phoning journalists who could not attend the conference. It's a sign of strength under the highest of pressures - and it's that same strength that keeps Greste pushing on from his cell in Egypt's Tora Prison. "He's still very mentally and physically strong and he takes the view this fight isn't over until justice is done and he's brought home," Andrew said yesterday. "And we take the same view that we're not taking our foot off the pedal. "We're going to keep advocating for his release.